This week we've added few extensions to our features which opens new possibilities for you:) Learn more! 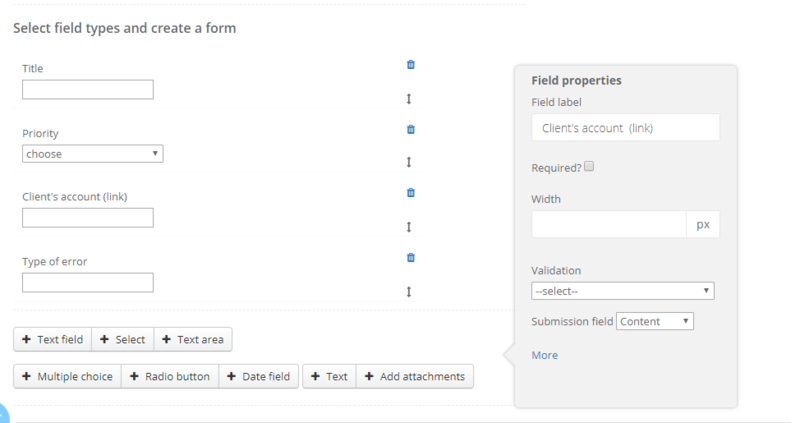 Learn more here: Advanced form configuration. We've also updated mailbox adding proccess if a mailbox already exists in another Sugester's account. Turns out it happened quite often - when you create a test account, add a mailbox eg. email@mycompany.com, after tests you create a default account where you also want to add the same mailbox. In such cases the system used to block possibility to add a mailbox to the other account, because mailbox with the same domain and prefix can be active in one Sugester's account only. You had to reach us for help, which made the whole proccess much longer than it should be. From now on you can handle this situation yourself, all you have to do is to verify the mailbox. If you verify the mailbox in one account, the mailbox will be disabled at the other. You can learn more here: Can I add the same mailbox in two different Sugester's accounts? Learn more about internal comments here: How to add an internal comment in a single email thread.